On September 19, 2014, the city of Incheon, South Korea, will host the 17th Asian Games. The Asia Games, also known as Asiad, is the second largest multi-sport event following the Olympics. 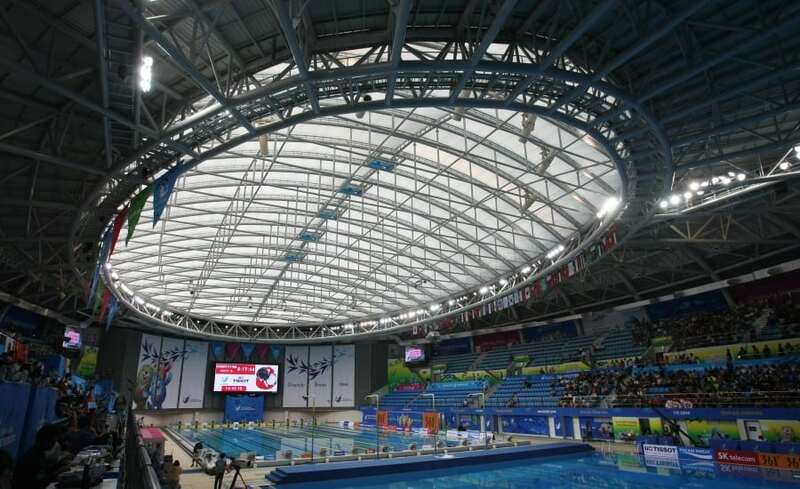 Architen Landrell is pleased to be designing, manufacturing and supplying the Ethylene Tetra Flouro Ethylene (ETFE) roof system on one of the most complex and iconic venues for the games, the Munhak Aquatics Centre. 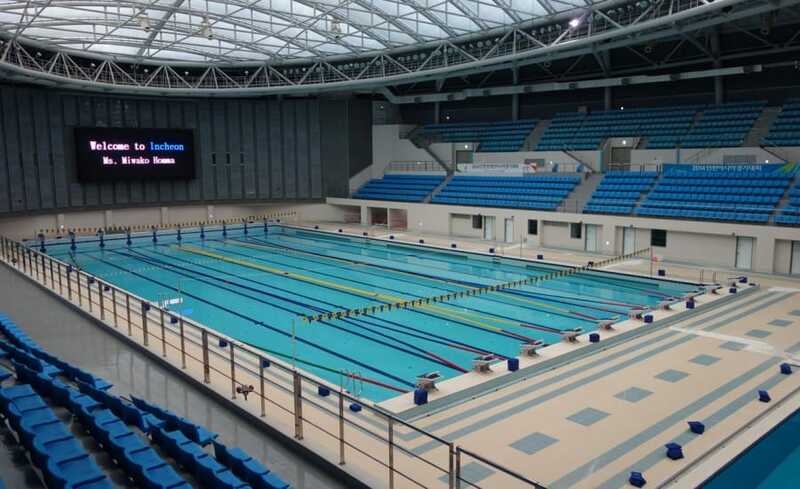 For the new aquatics centre, event organisers required a venue design that would let in an abundance of natural light. 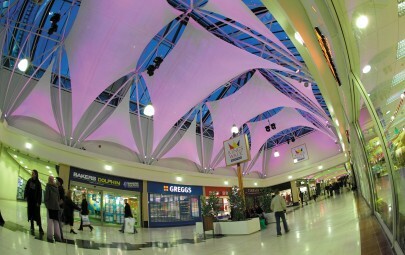 A glass roof was not an option because of the roof span size and cost implications. Architen Landrell proposed a three layer ETFE roof system which met all of the criteria: lightweight, cost effective, 85% light transmission and long lasting for post games Legacy. 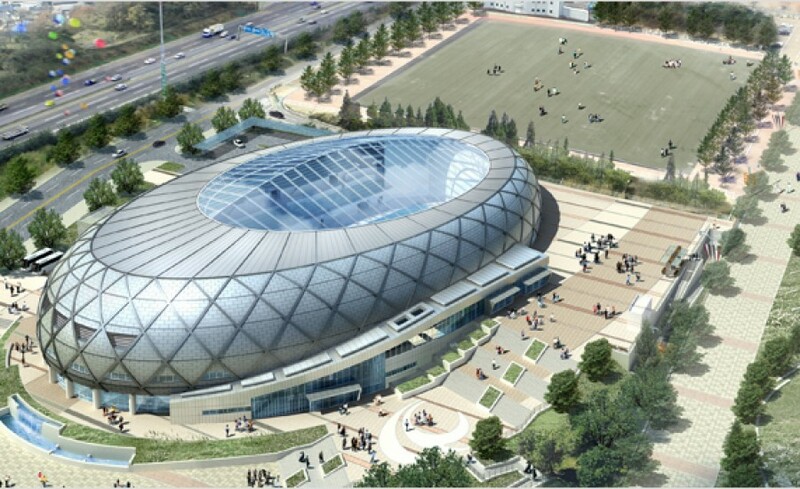 In total, 49 ETFE cushions will comprise the 3,000m2 roof of the new venue. Five of these cushions will be roof lights with opening vents that can be tilted for fresh air. ETFE cushion systems are continually inflated by air handling units from which air pipes run to each individual cushion. As the cushions only need to maintain pressure and not generate air flow, the energy consumption used by these units is minimal. Typically one unit is enough, but in the case of Munhak, two air compression units are being installed due to the size and shape of the structure. In addition, should one air handling unit fail, a safety system ensures the entire roof can be maintained by just one unit. Besides the challenges that come with designing and manufacturing a roof system of this size in another country, there were language barriers. Throughout design meetings on site and video conferencing, we have had to become creative in understanding the clients design expectations and instruct the team of installers. Mark Jenkins, Project Manager said this about the project, We have been relying on on-line translation programmes, a lot of hand gestures and drawings it has been a huge challenge and at the end of the day, everyone seems to be understanding one another and the project is taking shape and looking brilliant a huge accomplishment. Besides language barriers, there has been the logistical challenge of an eight hour time difference. Our morning is their evening and we having been altering our normal work schedule to ensure effective communication. The venue is currently under construction and is estimating to take another month. 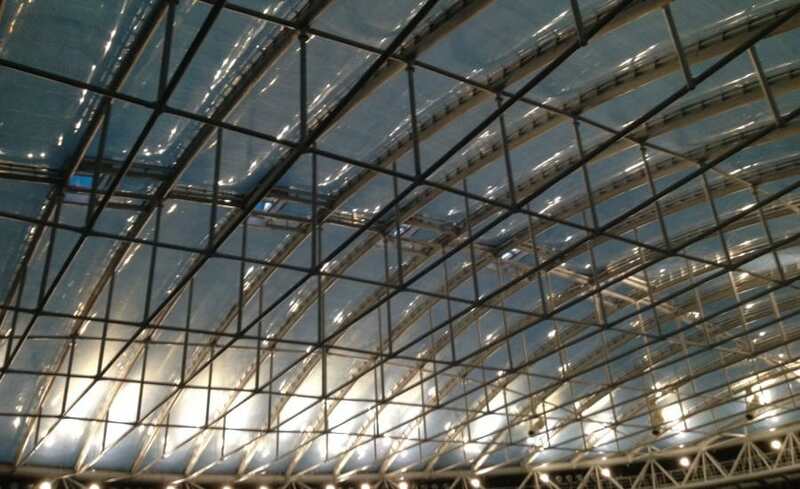 When the project completes, this will be our largest ETFE foil roof system installed to date. It was our experience in working on stadiums and our expertise in ETFE systems which won us the contract. 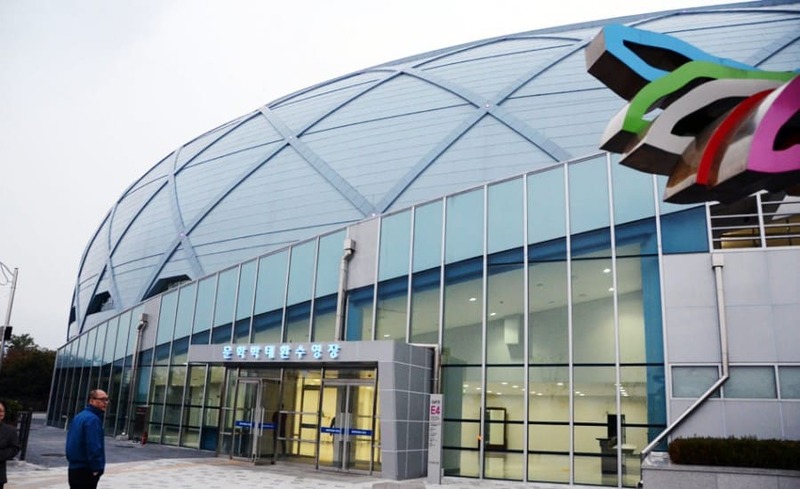 This is our second ETFE structure in Korea. The Aquatics Centre will be part of a lasting legacy for South Korea and one of harmony and friendship. Stay tuned for professional photos later this year.